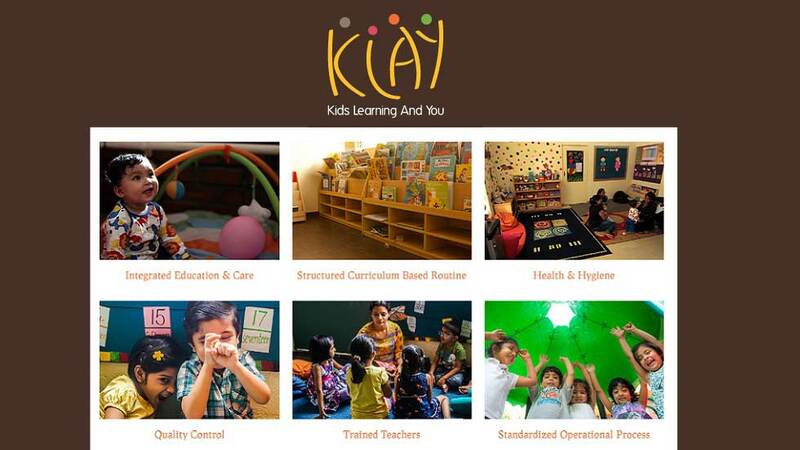 The final post in the series collects inputs from the CEO of KLAY Schools - Ms. Priya Krishnan on their expertise in providing early childhood education through set of experienced and trained teachers. The concept of Early Childhood Education in India over the past 5 years has moved from a "good-to-have" to a near necessity from a parent's perspective. In terms of the professional nature of the service, we see that the focus has moved away from something which was earlier as simple as providing a fun & engaging atmosphere for a child to one where the curriculum and methodology are in greater focus. With that, the quality of teachers is something that has seen a marked improvement. Although there is still a fair way to go for our early child education system to be at par with the standard globally, the signs are positive and we can also soon expect to see a greater regulatory involvement around this. Service Quality / Teacher Quality - In running a nation-wide chain, the base assumption is that the ability of the teachers in different parts of the country are similar in terms of how they can implement what you may set out as a well-rounded curriculum. However, with education levels varying dratically by regions and by states, this is something that isn't a given. In our case, we are instituting a National Teacher Training school to address this problem and hope to have high participation from aspiring educators, whether or not they work directly with us. Parent Expectations - Unlike formal schools, which parents view as something inherently more serious in nature, many parents still view prep school as an engaging extension of home where "care" takes greater significance than "learning". Education of parents in this respect towards the importance of a strong foundation in a child, even before they go to formal schools is something that needs constant work. Service Consistency - The reason why most chains of pre-schools operate under the franchise model unlike us, is that maintaining consistency in service quality is extremely difficult in a business which is so high on the emotional quotient. For us, we view this as a key differentiator, and something which should be a viewed as a necessity in any form of work with kids so young. As described above, one of our key differentiators, one which makes us India's largest company owner & operated chain of schools is the fact that we are transparent with our stakeholders at every stage of our relationship. Service features such as Live CCTV streaming access to parents, flat organizational structure, direct access to the founding team for each parent; are some of the many things that make us more accessible to parents and thus more transparent in the way we operate. Another key differentiator for us is our expertise in merging the concept of Preschool with mordern Daycare. In any KLAY center, a full daycare child is automatically undergoes a pre-school curriculum module as well. This is because we believe that structured learning at this age should not be a matter of choice. Other than the fact that we run extended daycare services with Adult:Child ratios starting 1:2, a best in the industry, we feel our growth to become the country largest Corporate Daycare provider in a short span of 5 years is testimony to our differentiation. We already have presence in India in Bengaluru, Mumbai, Hyderabad, Chennai, Delhi, Gurgaon, Noda, and Guntur, and are looking at expanding in cities such as Pune & Kolkata. In the next 12 months, we are also looking to move into international markets such a Singapore and Dubai. We were the first chain of schools in India to give our parents Live CCTV streaming access, and have recently moved into a digital diary system where all parent communication is done through an exclusive and protected app. We have also been able to effectively use technology to synchronize our curriculum implementation with the weekly structure being made by a central team and shared across all our center PAN India through an online platform. We are also continuously looking at ways to introduce technology in our classrooms while maintaining the ethos of our curriculum.